If one of these logos do not meet your needs please contact us. Logos are copyright ATLAS Great Lakes Tier 2 and may be used without alteration, except resizing as necessary, to represent AGLT2 involvement in projects, conferences, etc. These posters were created in Adobe Illustrator. 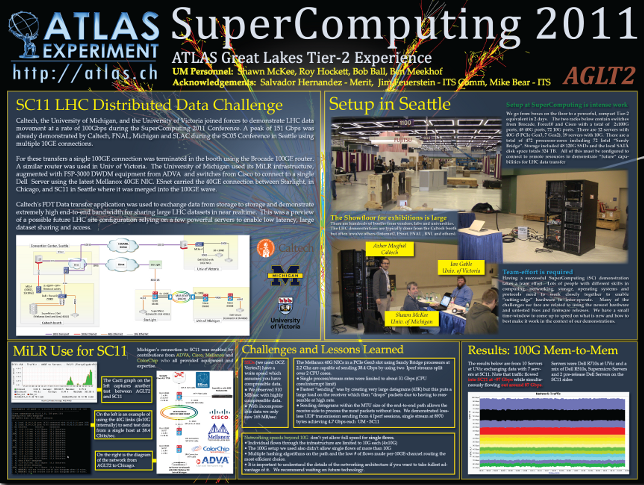 Please contact us if you are another ATLAS group interested in obtaining the AI files to use as a template or example. 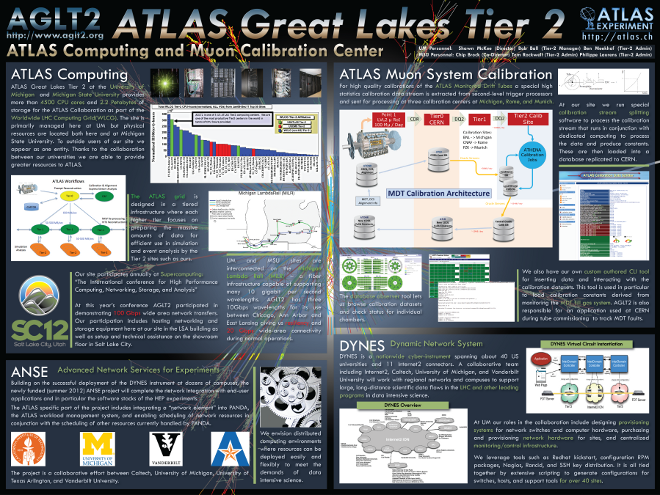 Posters are copyright ATLAS Great Lakes Tier 2 and may be used without alteration, except resizing as necessary, to represent AGLT2 for educational and outreach purposes.